Rajinikanth is rumoured to be doing dual roles of a father and a son in AR Murugadoss-directorial Darbar. Much has been read about the characters that Rajinikanth is playing in his next movie Darbar, which was formally announced recently. It is well-known that the Tamil superstar is doing dual roles in the AR Murugadoss' directorial and rumours had claimed that he was doing the role of a cop and a social activist. Now, there is a little bit of information doing rounds about Rajini's character in Darbar. The latest buzz says that he will be seen in the roles of a father and son. In the movie, the father is corrupt and has some negative shade to his character, whereas the social activist son is against corruption. It leads to a clash between the father and son. Will the entire film revolve around the father and son's clash? It has to be seen, but if the rumours are to be believed, Darbar is once again an anti-corruption movie. The first look posters were released last week and it had a powerful caption, "You decide whether you want me to be good, bad or worse." The shooting of Darbar is in brisk progress in Mumbai and the major portion of the Tamil film will be shot here. The makers want to wrap up the shoot by the end of September. It is scheduled for release for Pongal 2020. 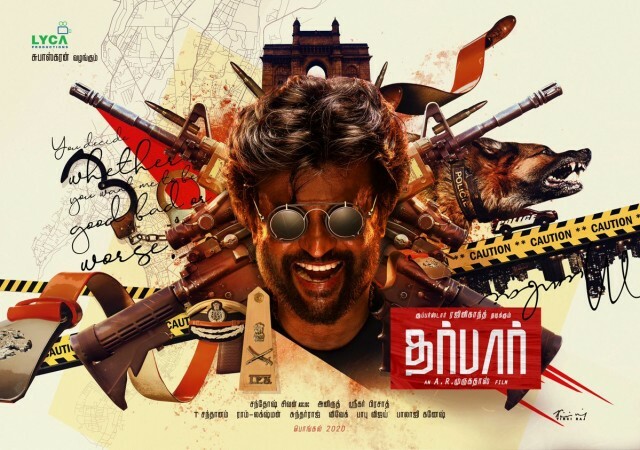 Darbar, which has Nayanthara in the female lead, is an action thriller produced by Lyca Productions, which is its third collaboration with Rajini after Kaala (distributor) and (2.0).